Outdoor Rec has four different models of towable camping trailers ranging from 12’ to 17’. Rental fees range from $200 to $300 for the first day or weekend and $50 for each additional day. 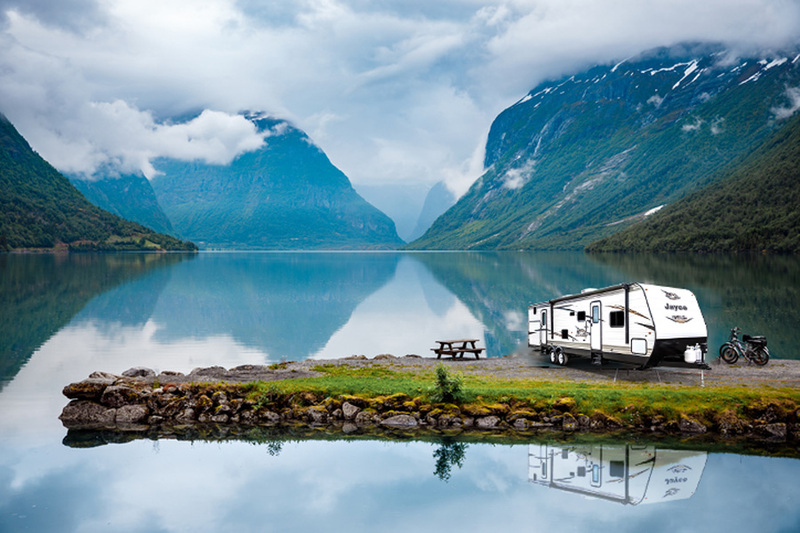 The trailers can be taken anywhere within the continental US. They may be rented for up to 14 days. Available Memorial Weekend through Labor Day Weekend. Reserve up to 30 days in advance. 50% of the first day’s rental fee is required at the time of reservation, refundable up to three days prior to pick-up in the event of a cancellation. The towing vehicle will need a two inch ball hitch and round seven electrical connection. An electronic brake controller is always recommended. For our larger trailers, it is required by law. Buckley Outdoor Recreation must be added to your automotive insurance policy as an additionally insured party, and our trailer must be added as insured property. We can provide the VIN, year, make and model upon reservation. This protects you from liability and potential large out of pocket expenses. One time per year, the renter or the renter’s designee, must attend our Travel Trailer Orientation, held Wednesdays at 1600 and Saturdays at 0800. Electronic brake controller required when trailer weight exceeds 3,000 lbs.